The IS® 5100Z zero turn series of diesel powered zero turn mowers feature an impressive complement of comfort, performance and convenience. Easy access to service areas, impressive horsepower, enhanced lawn mowing operator comfort and increased performance all contribute to the time this zero turn mower will save you. When it comes to commercial zero turn lawn mowers, this is truly the ultimate riding and cutting machine. Acres Per Hour - Mows up to 7.2 acres per hour, based on 80% efficiency. Caterpillar® Diesel - Caterpillar® 1500cc (model 3013C) diesel lawn mower engine with 55ft/lbs of torque at 2800 rpm delivers more torque at a lower rpm for increased power when needed. Easy Access - Quick removal of the floor pan provides convenient access to the top of the deck for easy cleaning and service. Hercules Spindles - Hercules™ cast-iron mower spindles utilizes large 1 1/4" Timken® tapered roller bearings, 1 1/4" shaft and 10 1/4" 6-bolt flange design. Long lasting, adds strength to the deck and requires minimal maintenance. Hydraulic Deck Lift - Foot activated hydraulic deck lift makes raising and lowering the deck effortless. iCD™ Cutting System - Innovative iCD™ Cutting System was engineered to product the best possible cut in a multitude of conditions. Miles Per Hour - Up to 12 MPH ground speed, reverse 6 MPH. Patented Suspension - Suspension system consists of rear dual coil-over-shocks with dual cast-iron maintenance-free suspension arms (shown) and front independent adjustable coil-over-shocks. 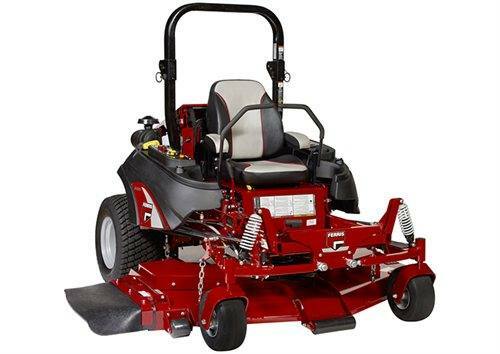 Rear Discharge Deck - Rear-discharge decks, used for special applications, disperse grass clippings directly behind the mower. 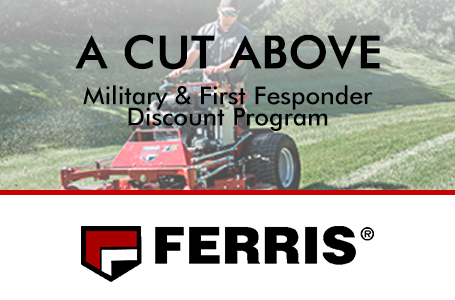 Overall Width: deflector down / deflector up (model) 88" / 74"
Mower Cutting Height: 1.5" in. - 6.0" in. Warranty: Engine: 2-Year Limited Manufacturer's Warranty ; Balance of Machine: 4-Year Limited Warranty (48 months) or 500 hours, whichever occurs first. Unlimited hours during the first 2 years (24 months). Coil-over-shocks and all suspension related components are covered for 4 years (48 months) unlimited hours. Belts, Tires, Brake Pads, Battery, Blades: 90 days See Dealer for Warranty Details.